iPhone battery life gets better and better every year. New features like fast charging and wireless charging are making it easier for us to keep our iPhones charged all day. Even though the iPhone batteries are designed to last for hours and hours, they still aren’t perfect. Your iPhone’s battery life can be significantly affected by iOS updates, a handful of settings, and even the temperature outside! 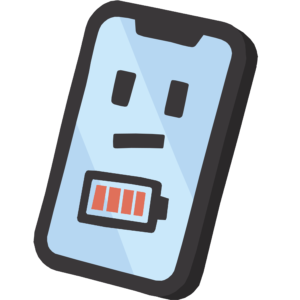 Our Battery articles will help you fix common iPhone battery problems, show you how to get longer battery life, and help you decide when it’s time for a battery replacement. iPhone 8 Battery Drain? The Best Tips To Extend iPhone Battery Life! iPhone X Battery Drain? 10 Proven Tips To Make It Last Longer! My iPhone Battery Drains Fast! Here’s Why And 9 Battery Saving Tips!